It’s funny what you can learn about a person’s day via Facebook. My Day: Wake up and and tell myself to write two stories, find a missing tax file, and fill out a detailed form. Then leave the house for six hours to go to a consultation and then run all kinds of errands—since I’m out anyway. (Do you ever do that?) Now I’ll have to leave again in an hour to take the cat to the vet for a followup. In the end, not a great day for writing two stories, finding a missing tax file, and filling out a detailed form. While I’m in town, I might as well go to the dry cleaners. While I’m in the break room, I might as well wash the dishes. While I’m filing this paper, I might as well pull out those old files from last year. While I’m talking with my boss on the phone, I might as well check my email. While I’m working at home, I might as well get five loads of laundry done. Maybe you are more disciplined, but sometimes I’m a victim of believing that multi-tasking is generally a good thing. I haven’t fully bought into the current mindset that multi-tasking is more harmful than good, although I’m starting to wonder if it is. They lead to unplanned tasks. Notice it doesn’t say, “When I go into town, I plan to (list. )” It’s, “While I’m in town I might as well (list).” Big difference. A spontaneous, as-you-go approach can sometimes lead to more stress, kind of like picking up extra items at the grocery store that weren’t on your list, and your receipt is much bigger than you budgeted. You are often better off making a plan first. It leads to unrealistic expectations. Just because we are in proximity of a task, doesn’t mean this is the best time to accomplish it. We often think it will only take a few minutes but it often steals more time away than we thought it would. It keeps us away from other tasks--ones that were planned and prioritized. In the example above, my friend had important tasks planned. But she got derailed by what looks like the efficient batching process and handling things as they come up. In the end, it left her priority tasks undone. It derails our focus. Spontaneously adding on more tasks takes our minds off the things that we were planning to get done. Use a timer. I advocated this in another blog post, but a timer is a great friend. Many of us have smart phones now so it’s easy to find a timer app to suit you. Use lists ruthlessly. When you think of something else you could have done “while I’m here” jot it down on a task list and stick with your original plan. 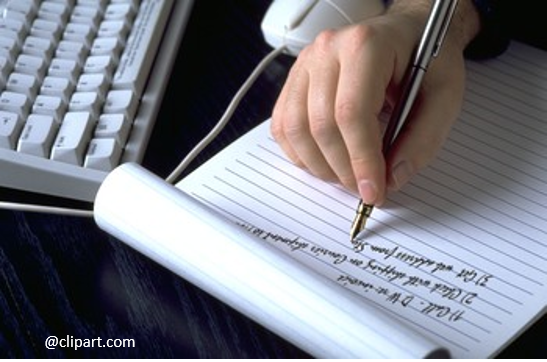 The very act of writing it down will help you pause long enough to think it through. Retrain yourself. You probably go through similar errand loops or task sequences weekly. When you get that spontaneous urge to add something to your current process/errands, make yourself add it to the list for NEXT time instead. This will help you retrain your brain to be comfortable with waiting, knowing it will get done in the next cycle. You’ll learn to trust the system you set up. Give in–sometimes. In other words, add enough cushion into your calendar that if it really WOULD be practical to add that extra errand “while you’re there” it won’t derail your day completely. Benefit from: Here’s an app we use for managing grocery shopping. My husband and I can sync it so he can always have the latest version of the list. But you have to add things to the list as you think of them to make it work! Work Smarter: How to reduce your hours and yet get more done. Please share this article! Thank you!